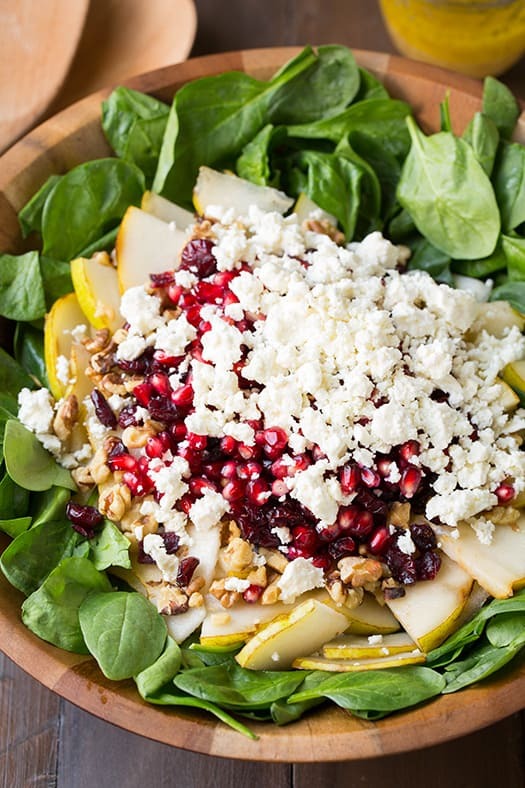 I love how festive the arils look in this salad when paired with the greens, and of course Iâ€™m in love with the entire flavor combination of this salad! Dovetailing tips; Prepare an extra 1/2 cup of pomegranate arils to use day 5 in the Winter fruit Salad. Whisk all dressing ingredients in a bowl to blend well. Place all salad ingredients in a large salad bowl, drizzle with desired amount of dressing then toss to evenly coat. Serve immediately.